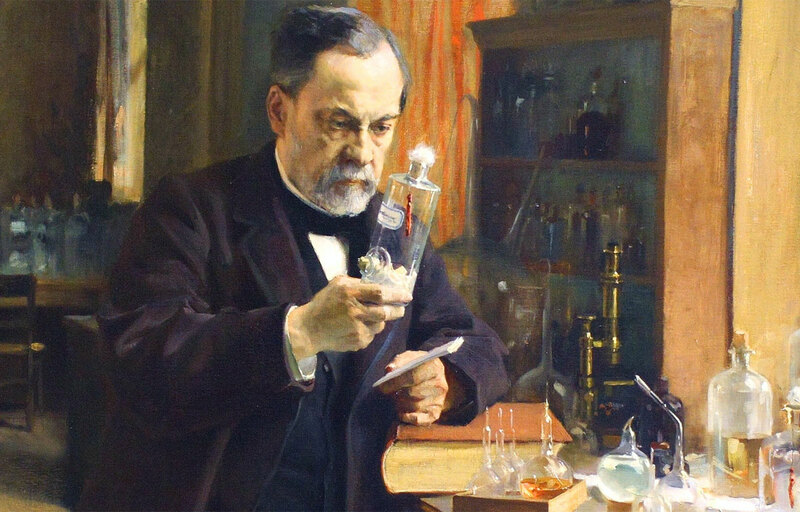 There are some scientists who are credited with saving countless lives and Louis Pasteur is among that list. He helped to develop vaccines that would save the lives of millions and his discoveries about germs would change the face of medicine forever. Even food safety owes itself to the findings of this great scientist. Pasteur grew up in a small French town of vineyards and farmland. He loved to paint but his father, an army sergeant major, wanted him to work hard and build a solid foundation. So, Pasteur began working in the field of chemistry at the University of Strasbourg and it wasn’t long before his keen eye for detail made a ground-breaking discovery. He found that identical molecules can exist as mirror images in right or left-handed versions. This might not sound like much, but it is the concept that underpins modern microbiology, drug development and our knowledge of DNA. This was a hugely profound contribution to science and he’d done it by the age of only 25. He also managed to disprove a widely held belief, held since the days of the Ancient Greeks, in that life appears spontaneously. He was able to prove that food spoiled because of microbes in the air which could cause disease. His ideas were controversial because he was a chemist and not a doctor, but the reason we have antiseptics is thanks to Pasteur’s work. And this is what leads us to possibly his most well-known invention – that of pasteurisation. Napoleon III approached Pasteur about France’s wine industry. Vineyards were losing money as wine was spoiling in transit. You couldn’t boil the wine to kill germs as this affected the taste. Pasteur realised that you could heat the wine to 55 degrees which would kill bacteria but not affect the taste of the drink. This method became known as pasteurisation. Pasteur had been celebrated for saving the wine industry and now he was asked to help the silk industry too which was being badly affected by silkworm damage. After six years of study, he developed a solution that saved the silk industry. After developing concepts about infectious diseases, he started to study chicken cholera. After injecting chickens with an old cholera bacteria culture, the birds got ill but did not die. This was another landmark breakthroughwhere Pasteur discovered mild strains of a disease could help develop immunity. He had found a way of creating vaccines in a lab which was a huge breakthrough in the battle against infectious diseases. Trials and experiments are the things that make progress in medicine possible, improving the lives of everyone. If you’d like to be involved in Paid Research Studies, find out more information on the Paid Research Studies at Trials 4 Us. His work wouldn’t stop there though, as he was keen to develop vaccines for anthrax. He also paid attention to rabies which could cause a horribly drawn out and painful death. Whilst he had performed a trial on dogs, testing on humans was a lot more nerve-wracking. He achieved success though, with a boy bitten by a rabid dog and the first human trial of a man-made vaccine had been completed.